We call external meetings all meetings with users who are not part of the same organization as the meeting creator. When you request a meeting with them through your assistant, the regular meeting flow is triggered. 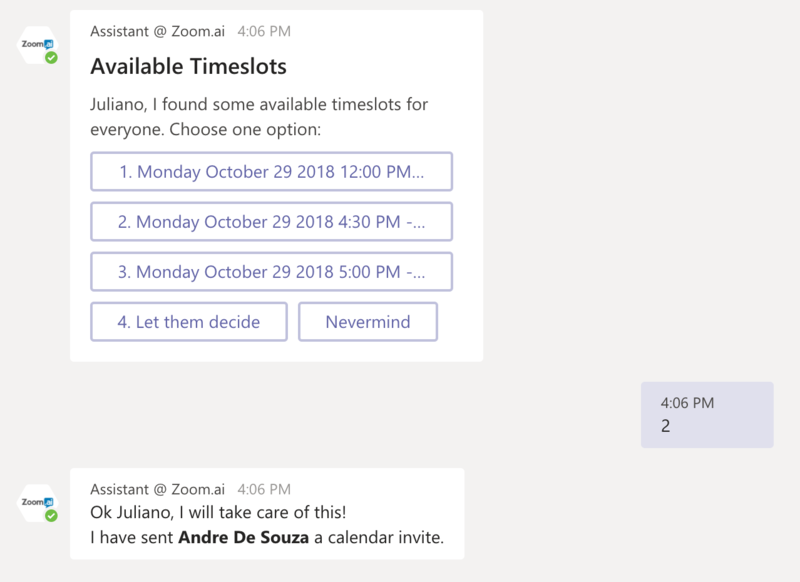 Zoom.ai does NOT have access to external invitees calendar availability during meeting creation and therefore is able to suggest overlapping availability for external invitees. External invitees can also optionally sync their calendar on the meeting selection UI page, but the synced results are only visible to that specific user and not the meeting creator. Syncing for external users is not stored by Zoom.ai. 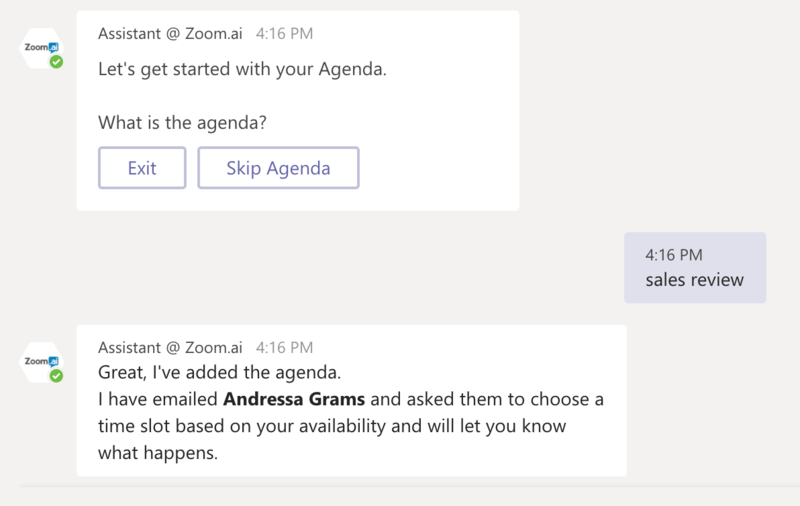 Internal meetings happen when everyone (person requesting a meeting and invitees) are Zoom.ai users. When that occurs - and because your assistant knows when they're available - meeting owner is able to select a time and the meeting is set right away.